William G. Griffith was born and raised in Illinois and graduated from Illinois Wesleyan University Law School in 1891. 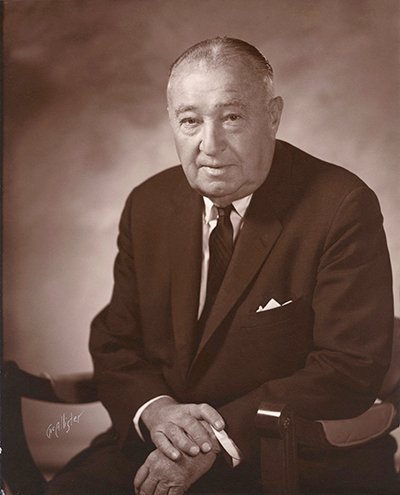 In 1895 he began practicing law in Santa Barbara. He started his career in the office of Judge Paul R. Wright. A few years later he went into solo practice. Robert Thornburgh (2nd row, 3rd from right) was a member of the 1950-51 Stanford Law Review editors, which also included Sandra Day O’Connor (front row, 2nd from left) and William Rehnquist (back row, far left). 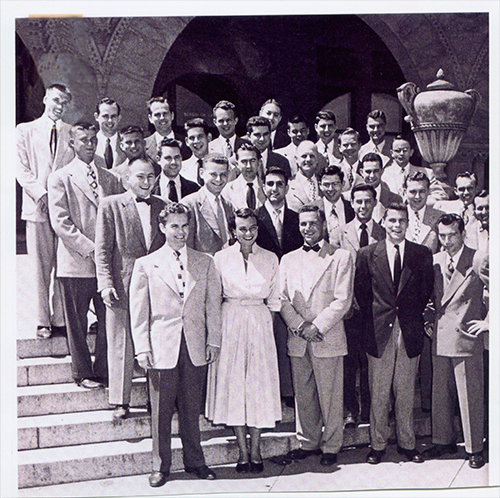 Laselle Thornburgh was born and raised in Santa Barbara and graduated from the University of California at Boalt Hall in 1922. Upon graduation he started working for William Griffith. In 1924, William invited Laselle to become a partner, and the partnership of Griffith & Thornburgh was officially formed. 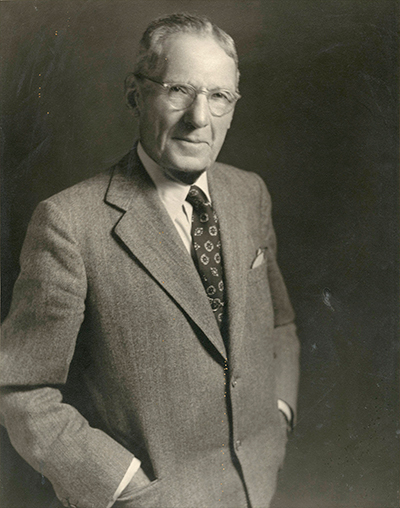 William continued practicing at the firm until shortly before his death in 1949. Laselle also continued practicing until his death in 1973. From 1922 until the earthquake in July 1925, the firm occupied offices in the Granada Building. Immediately after the quake, the office occupied a tent on the lawn of the Lobero Theatre. They occupied the tent next to the tent of County National Bank. From the tent, they went to offices in the San Marcos Building at the corner of State and Anapamu Streets, which was also damaged by the earthquake. In March 1931, the firm expanded to a new location at 7 West Figueroa Street, where it remained until 1966. In 1966, the firm moved into its current location on the third floor of 8 E. Figueroa Street. The Elk’s Club, which had built and operated the building, originally had its club on the third floor, which featured a large ballroom. The Elks sold it to Montgomery Ward in the 1930s. When Montgomery Ward sold it several years later it went into its current usage of banking and office space. The sons of William and Laselle, Yale Griffith and Robert Thornburgh, also joined the firm. Yale graduated from Harvard Law School in 1928 and began practicing with the firm in 1929 and retired from the practice in 1979. Robert graduated from Stanford Law School in 1951, began practicing with the firm in 1952, and became a partner in 1958. Bob retired from the practice of law in 1985. The original founders and their successors have a long history of community involvement, civic pride and high ethics. In Yale Griffith’s words, “my father set a very high standard of integrity and credit and fairness” and it is the goal of the successors to honor that history and maintain that standard.